Don’t start a new grade in second grade gear. Get back to school and back to Bonds with everything they need for an A+ year. 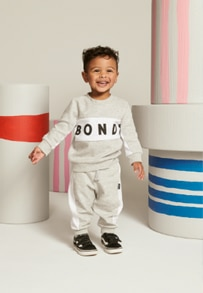 Whether they’re off to kinder, primary or high school, Bonds has all their comfy basics designed to coordinate with school and sport uniforms. Whether it's all the essentials like undies, crops or socks or clothing like trackies, singlets, leggings or tees, we've got their school supplies covered.